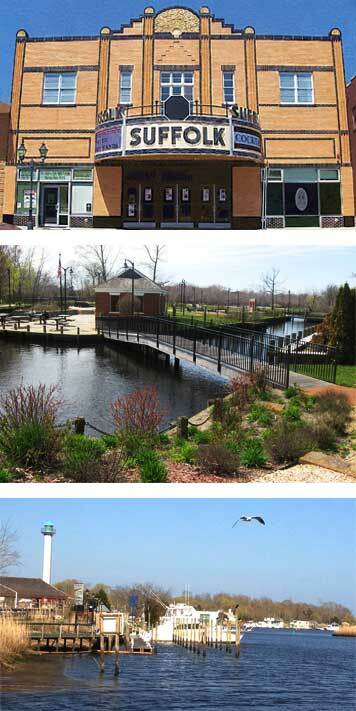 Town of Riverhead, Long Island - Future information hub for business, cultural, and recreational assets of downtown Riverhead. home for all things Riverhead! Established in 1792, Riverhead is the seat of Suffolk County government. County offices, court buildings, events, and world class attractions bring thousands of visitors to the downtown area for business and pleasure every day. The beautiful Peconic Riverfront, historic Main Street, and iconic buildings such as the 1930s art deco Suffolk Theater are the foundation of downtown Riverhead. Located at the crossroads of the twin forks of the East End, downtown Riverhead is being rediscovered as a family-friendly place to live, work, and play. So whether you're a local, visiting for business, on a weekend getaway, or here for a day, GO RIVERHEAD and see the best of what the East End has to offer. GoRiverhead.com is a part of the Town of Riverhead's Brownfield Opportunity Area (BOA) Step II Nomination, which focuses on the area along the Peconic River and NY State Route 25 from the terminus of the Long Island Expressway at the west and encompassing Downtown Riverhead. The main goal of the BOA Program is to provide communities with the tools they need to overcome obstacles to redevelopment. The study focuses on identifying strategic sites that may be catalysts for community revitalization, as well as analyzing the area as a whole. To share input and ideas on what you want to be considered in this downtown revitalization process or to be included on the project contact list and stay up to date throughout the entire project, please use the form below to contact us. This site is in development. Please check back soon for updates and new information! To be added to our mailing list and receive updates about the process, please fill out the contact form below.